Everyone’s favorite time of year is here, and along with the cool weather comes hearty autumn flavors! We picked our chefs’ minds & came up with a few fall trends to look out for this year as well as where you can find it on our menu! When it comes to the transition of the seasons and the changing of colors, cinnamon is a common ingredient especially when it comes to using it with apples and squash! Cinnamon adds quintessential fall flavor while providing high levels of antioxidants. You will also find cinnamon added to beverages like coffee, cocktails and even beer. All in all, we think cinnamon is a comforting fall ingredient! Common mushrooms like crimini and portabella are available all year long. Many special and exotic mushrooms are cultivated during the Autumn at their peak, and many are great with pasta, chicken and meat dishes. We make our ragu with portabella, crimini, shiitake, and porcini mushrooms. Black truffle is at high peak from September until December in central and northern regions of Italy. Black and White truffles can be anywhere from the size of an egg to the size of an orange, and usually grow in shady zones with lots of moisture. As the weather gets cooler, people start to think about heartier, stick-to-your-ribs type of dishes. 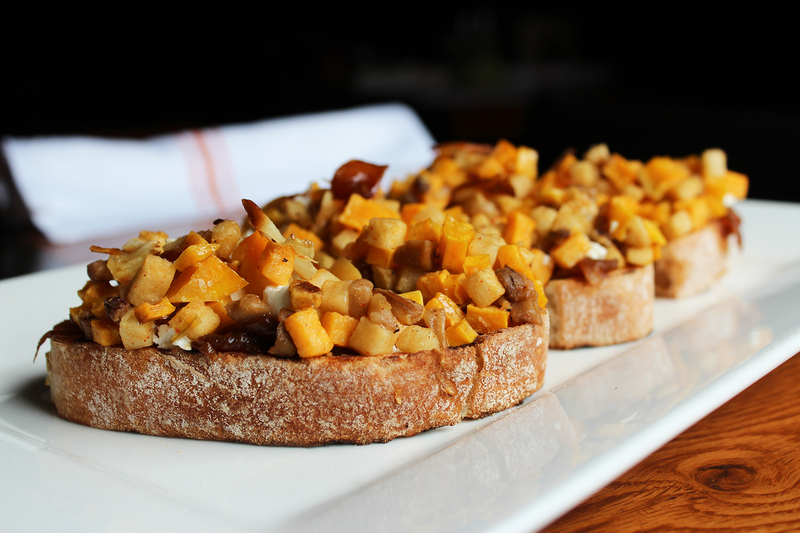 Winter squash paired with braised meats and red wines are particularly a favorite of ours! Some types of squash are available all year round, but keep your eye on the ones that are seasonal and can be used for salads, soups, fried or grilled.